All the bloggers give I guess 5 or maybe 10 ways to increase your blog/website traffic but today I am focusing only on 4 unique ways to increase your blog traffic. Every blogger have the same old question of how to increase their blog traffic without paying a penny or without doing much effort. Many blogger invest in Google Ad Words to increase their blog/website traffic. After a lot of search and own experience of 4 years of blogging, I finally got some of the basic method to rapidly increase your blog/website traffic without paying any money to anyone. 1. Your blog should be hosted on a server which provides unlimited traffic on a per day basis. 2. Make your blogs home page smaller in size like in 100kb, this you can do by just make a landing page which is connected with your blog/website. 3. Set a particular template to your blog. Don’t change it much often, because if you change it people visiting your blog may get confused and leave your site. 4. Buy a paid domain, this will automatically get your website noticed by the Google Search engine. You can buy a domain as cheap as 900Rs per year. So these were some of the major things to keep in mind before you can think of having a big amount of traffic on your website/blog. Now onto the 5 unique ways to increase your blog traffic. Let me tell you that this technique will increase your traffic gradually and not all at once. Nothing is achieved in a one day work, it takes some time to get to a steady pace. Yes, as you all know connection in blogging is the major factor by which many blog succeed and many blog remain flop. So, what is the best way to get connection? Every other blogger you come in touch with are connection in one way or another, even if they are not from you blogging niche. If they belong to same blogging niche then try to get friendly with them because after all they are your competitors in ranking. If you connect with the people of same blogging niche then it is surly obvious that they will read your blog once per day, this will get you a sure daily visit from them. One of the most common traffic sources that most of the blogger does not see or just passes under their mind is their own working area. If you have a blog relating something to your current work then you can get a whole lot of traffic to your blog/website. Even if you are in school you can tell other students that you are running a blog that can help them out in studies, most of them will visit your blog even for once for sure and if they like may be daily. For having a good and steady flow of traffic of new and old (returning) audience it’s important to write all new information in a unique way. I have seen many bloggers who start the blog with lots of enthusiasm but after 10-15 days only they get all distracted with the topics of how to earn from their blog. Because of this many bloggers lost their daily traffic, this cause them in the decline in their daily income. Why does this happen? 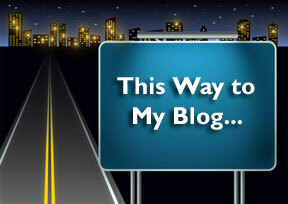 The main reason become of the involvement of money making trend that have came into blogging. I am not against making money but don’t get to distracted from writing article which include quality. Stay focus to your blog niche and explore all the possible topics you can write on to gather more and more people to read and follow your blog. 1. Content should be unique. 2. Navigation should be fast. 3. Image size should not be greater than 300 KB. 4. Use offline web application technique for caching. 5. Keep the track of your web page rank given by google. Thanks aditya Shingh its really nice to have to comment on my article thanks. Thanks Hitesh for wonderful comment its good you have shown interest in my articles. Hey there, Benny. You know what I liked the most about this post? It's practical! Yeah, I've seen so many "blogging tips" blogs which keep on writing long theories! This post was nothing like that! Seriously! I especially liked the point where you save for the future. That's true! When we start blogging, we start with 0 traffic. If you publish the best of your posts at that time, then you run out of quality when your blog actually starts getting famous. This requires a bit of planning. Post the good ones before so your blog starts getting traffic. Once you are quite satisfied, give your visitors the best of you! Thanks Raj for visiting my blog and commenting and yes we start with nothing but just with a 0 count meter on our blog. Sooner we start developing our blog and one day we et what we wanted.